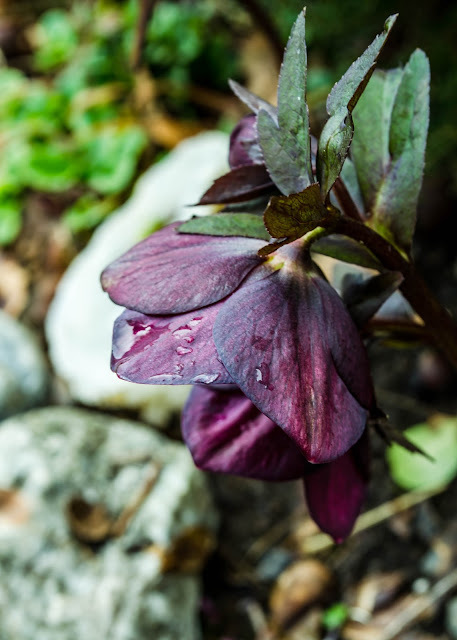 Hellebore's are one of the best things about my winter garden. They cheer me on the dreariest of days and they delight me when the sun shines. I'm up to 15 plants so far and well, I might just be turning into plant addict instead of hobbyist. See for yourself if you think these blooms are addiction worthy. More amazing hellebore blooms are on way. I can't wait. Spring really does feel right around the corner. That first one is my favourite... stunning! I can say I'm also almost addicted to Hellebores, they are a joy in the garden at this time of year. I have lots of different ones in the garden but I must tell you I have never seen before such a beauty as your first one the 'Cherry Blossom', Well, I think I'm a bit jealous, haha. 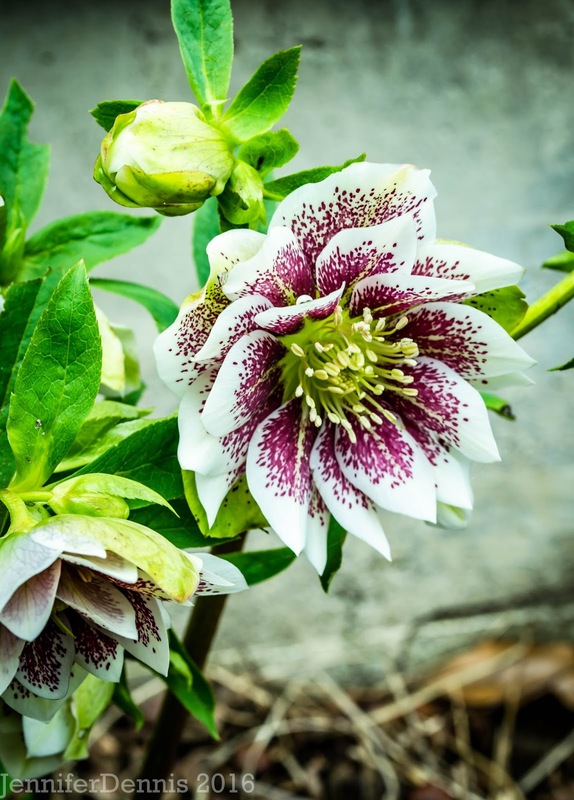 Your Hellebore are gorgeous...love the different colors! I have a patch that has really spread out, but they are all white. Pretty, yes...but yours are definitely more interesting! It's so nice to see some color this time of year, isn't it?! I love your collection. The first one is amazing. My Pirate picked up a couple at Xera last week. I hope that he starts a collection too. Great photos. It's good to see you posting again. 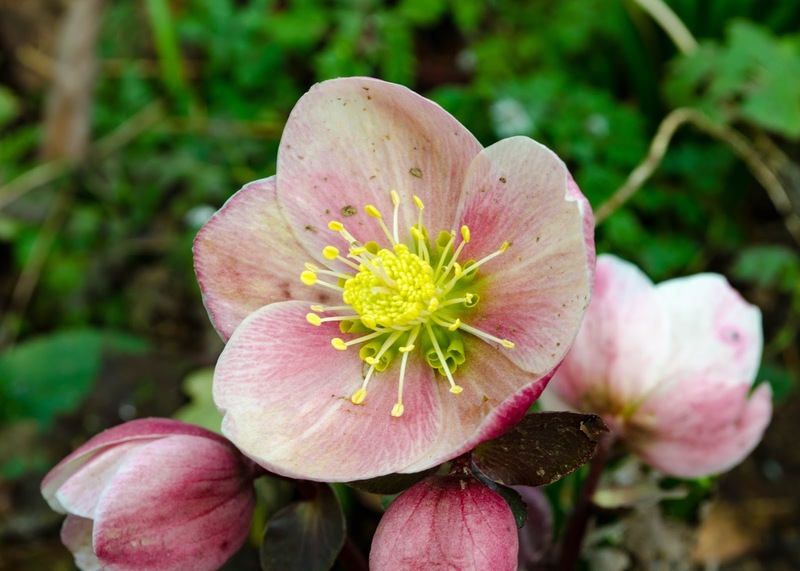 Someday I will have to try hellebores. 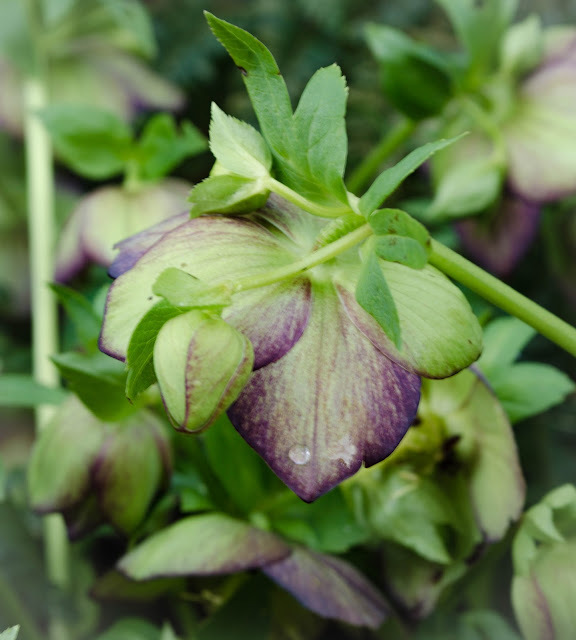 Hellebores are such a delight in both flower and foliage. It's a total bonus that they'll grow in shade! Yours are gorgeous! Easy to get hooked on them! Beautiful! My little patch of Hellebores is gradually expanding, but not quickly enough for my liking. They are so welcome at this time of year too. I just brought home a cherry blossom hellebore and it is perfection. 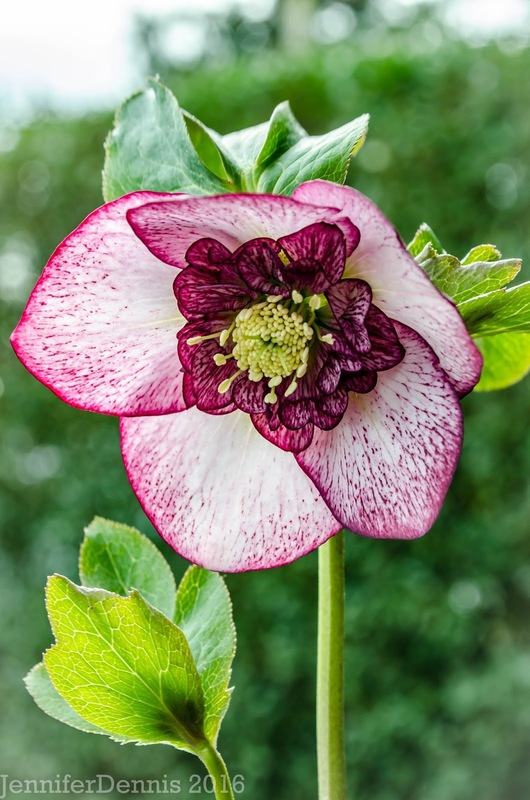 I also brought home a trio of double winter jewels hellebores and I hope to have a small collection of them in my new garden. Great photos, thanks for sharing. I have Blue Lady, too but really love the double in the last pic! My hellebores are all a bit plain and are in the driest, harshest spot in my garden. It will be a while before they bloom. Are the doubles as tough as the older varieties? I'd read they need more moisture. TL - that is a good question. 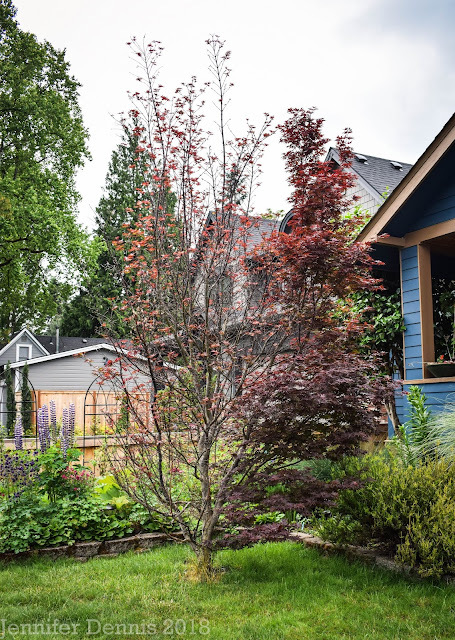 I put my doubles in my front border so that they show during the winter when the grasses are cut down, but would otherwise be shaded during the rest of the year. I do occasionally water these areas in the summer. Now that I'm thinking of it...I occasionally water all of the area's my hellebores are in. What I can tell you is that they do not expand as fast as the singles. I tend to treat the doubles as if they are a bit more delicate. I will be looking for Cherry Blossom! I only have two hellebores. I am strongly thinking of getting more, especially after seeing your Painted Lady. Our spring is still a couple of months away, alas.